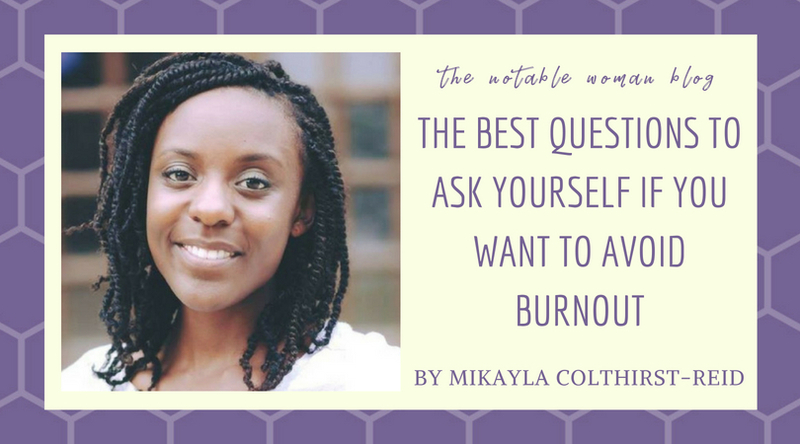 Today’s post is a guest post from one of my faves and burnout expert, Mikayla Colthirst-Reid. You’ve been there before (or maybe you’re there right now). A calendar filled with things to keep you occupied. A intense fear of being perceived as “lazy”, “unproductive” or “boring”. A belief that being “busy” is a badge of honour. And an all too familiar knowledge of what it’s like to crash and burnout over and over again. Burnout is a common problem for high-achieving entrepreneurial and career-driven women. In fact, 43% of American women have admitted that their stress levels have steadily increased over the last 5 years (nearly a quarter of women reported their stress levels to be at an 8,9, or 10 on a 10-point scale). The good news is that if you catch it in time, can prevent burnout from completely derailing your life. 1. When is the last time I said “no” to something? Learning to say “no” is essential to protecting yourself from burnout. If you’ve been saying yes a lot lately, that could be the reason why you’re feeling overwhelmed, overworked and on the verge of a meltdown. Ask yourself if the things that you’ve been saying yes to (or things that you haven’t been saying no to) are really priorities for you. Don’t get me wrong, it’s great to make a difference, and serve your friends, family, clients, and colleagues powerfully. But neglecting your own need for reprieve is a surefire way to spiral into burnout before you know what hit you. Do a quick check-in with yourself every week to make sure your activities or promised commitments are in alignment with your priorities and capacity. The ‘Overwhelmed to in-control’ workbook is a great tool to help with this process! 2. Have I exercised today? We all know that even a little bit of exercise improves your mood, energy levels and overall sense of well-being. I know that if I miss my workout, I’m more likely to lack energy, patience and less positive overall. When you don’t feel great, it’s easy to hit snooze for an extra 30 minutes and forgo the gym. But when you don’t move your body, it’s easier to let those negative self-critical thoughts creep in, thoughts that contribute to even more anxiety and stress about all the things you’re failing to do. If you haven’t gotten any exercise lately and you feel yourself on the verge of burnout, go work out! Take a brisk walk. Do 10 squats, do some burpees (even though noone likes burpees! ), do 10 or 15 pushups. A little bit is better than nothing at all. Check out this list of amazing apps for quick workouts on the go! Whatever your blood-pumping activity you choose, get it done and you’ll instantly feel better. 3. How much sleep have I gotten lately? Sleep is important for more than just the usual rest and recharge. A lack of sleep can actually impact the way you recall memories and feelings about your own life and the world in general. According to sleep specialist Robert Stickgold, when you’re sleep deprived, you recall more negative experiences and feelings than positive ones. For example: Let’s say that yesterday you had 10 feel-good experiences and 10 things that made you feel angry, anxious, sad or stressed. If you got three hours less sleep than is optimal for function (research suggests at least 7 hours for most people). You’re more likely to remember the 10 bad things and blow them up, all the while minimising (or completely disregarding) the 10 good things that happened. Seeing life through this negative lense is bound to have an adverse effect on your self-esteem, confidence and resilience which, when combined with an insane schedule, are all perfect ingredients for a bad case of burnout It’s time to catch some zzz’s! Try working a relaxing ritual into your bedtime routine like cutting off screen time, sipping a cup of your favorite herbal tea or settling in a half hour early with a good book. 4. What are the things in my calendar over the next 7 days that are essential? Take a look at what’s on your plate for the next week or so. If you’re starting to feel overworked and dangerously close to burnout, it’s important to figure out what is essential and cut the rest. Once you’ve eliminated or deferred the inessentials, pull away from the chaos to rest, retreat and just take some time out. Even a day, a half day or a couple of hours to yourself can work wonders. Changing your environment and usual routine is powerful, so if whatever’s in your calendar isn’t life or death, rearrange things and spend time getting your mind right instead. 5. Who can I talk to about this? At the end of your rope? Don’t keep it to yourself. For many people under pressure and feeling the weight of their commitments mounting, It seems counterintuitive to admit what seems like defeat when you’re about to hit your capacity (which is why you’re probably at this point in the first place). If you’re a busy, professional women, you’re obviously working hard and striving to be successful in your career or business. It’s hard to admit that you’re burnt out and can’t handle things so you bottle it up instead. But as Tony Robbins says, “if you stay in your head, you’re dead”. Don’t keep things in your head, get them off your chest either by reaching out to someone or keeping a journal to express and process your inner challenges. 6. Have I been celebrating my wins? 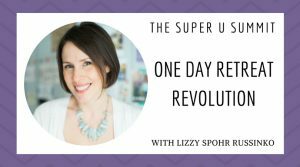 When I first stepped into the world of health coaching, I would constantly work and work and work without stopping to celebrate whenever I had done something awesome. Whenever I started to burnout or feel discouraged, my business coach would get me to write down a list of all the people that I helped that week, or all the people that said that because of talking to me they accomplished something. It might sound strange, but that exercise was extremely effective. 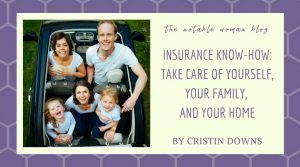 Here I was thinking I was just spinning my wheels and not actually making progress or making a real difference in peoples’ lives, but looking at the facts helped me to put things into perspective. I was helping people, I was moving forward and I was gaining huge momentum. Not celebrating your wins is a sure-fire fast-track road to burnout city. When you feel like you’re about to implode from stress, stop and honestly consider the last time you celebrated something great that you did. Get out your pen and paper and start making that list of wins! 7. What is one small thing I can do today for self-care? The smallest things that you do to take care of yourself are important. Set a date with yourself. Make yourself a cup of tea. Go for a walk for 20 minutes. Instead of staying up late to finish that blog post or that project, take half an hour, get in bed early and read a book. Because that half an hour that you take to do that will make you way more productive tomorrow and the next day and the next day. You’ll probably just earn that time and money back through productivity anyway. Adding more self-care into your day, even just one small thing, can release you from the death-grip of burnout in no time. Burnout is something we all want to avoid but it’s often our own mindset and habits that take us there. Next time you feel the impending doom of burnout, pause and quickly run through these questions. By reflecting and course-correcting, you’ll be sure to keep burnout at bay. Use my free ‘Overwhelmed to In Control’ workbook to get a handle on your burnout for good (in 5 days or less!). Mikayla Colthirst-Reid is the boss of Naturally Whole. For more Mikayla, check out her site or listen to her podcast episode on The Notable Woman here. Sign Up for The Notable Woman Weekly Digest! Get the latest and greatest news from The Notable Woman delivered directly to your inbox once a week! Your information is safe with us! SPAM and Cambridge Analytica are not our friends. FREE Gift! Fuel for your feminine fire! Inspiring quotes by women for women, attractively designed as desktop wallpaper and cell phone backgrounds, released on a monthly basis! Join The Notable Woman Book Club! The Notable Woman Book Club begins Fall 2018! Join now to get the first book selection right in your inbox. I hate spam and Cambridge Analytica so your info is safe with me. Stay up on The Notable Woman Podcast! Get an email every time a new episode of the podcast is released!